We’ve now come to the end of my Goodwin line – at least in America. I’m going to start with the Spencers, since they seem to have arrived first. Thomas Spencer (who seemed to be from Winchcombe, Gloucestershire, England) had married Patience Chadbourne (of Tamworth, Staffordshire, England) around 1630 in England. I’m not sure when exactly they immigrated, but I do know that Patience’s father William came over in 1634 and proceeded in building a mill on the Piscataqua River. Perhaps Thomas and Patience arrived about the same time. 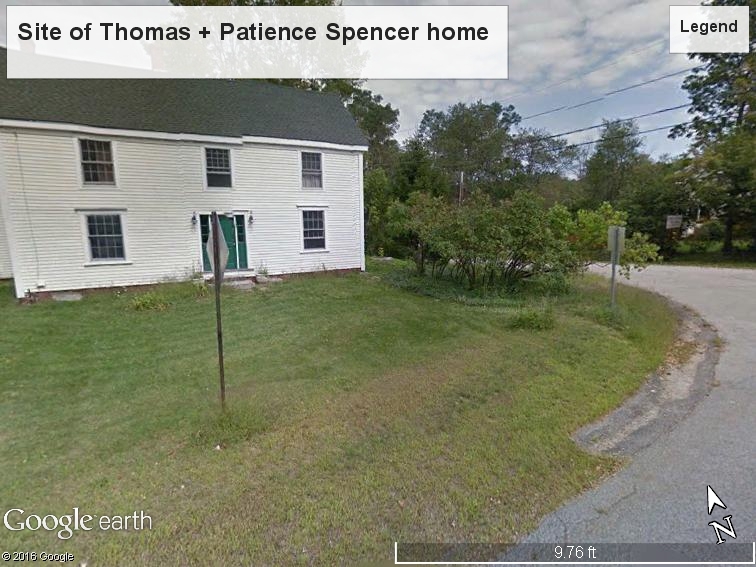 The Spencers settle in Kittery, Massachusetts Bay Colony, in the area now known as South Berwick, York County, Maine. William Chadbourne had given Thomas and Patience a house at the corner of Brattle and Vine Streets, the foundations of which supposedly are still there. Shortly after arriving the New World, Thoams and Patience had their daughter Margaret, who is one of about seven children. Site of Thomas and Patience Spencer’s land. Perhaps the foundation is under this house? Courtesy Google Earth. Meanwhile in Oxford, Staffordshire, England, Daniel Goodwin and Dorothy Barker had a son named Daniel, who would be the first of the Goodwins to immigrate to Kittery. Daniel was granted land by the town on December 16, 1652 and went on to become a planter and supposedly a surveyor and innkeeper. Over time he had acquired much land in the area, particularly at “Slutts Corner”, which is now in South Berwick along the southwestern portion of Witchtrot Road. 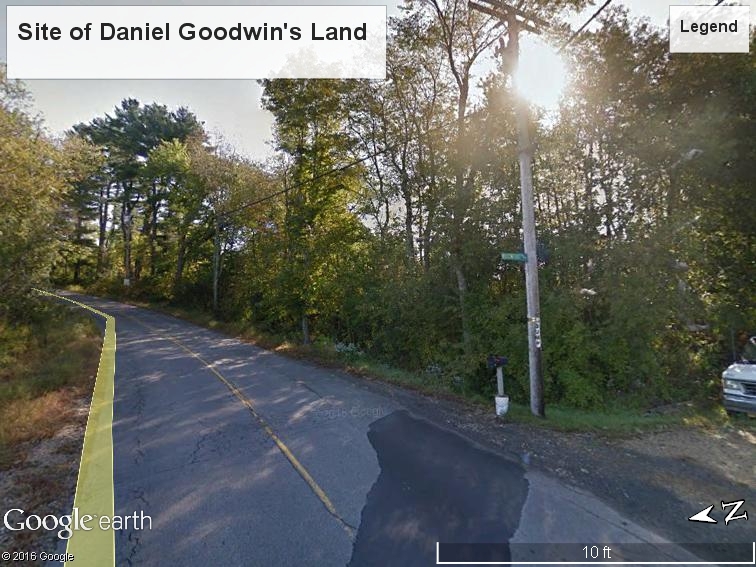 Site of Daniel Goodwin’s land. Courtesy Google Earth. Daniel, born 1656 in Kittery; married Ann Thompson (daughter of Miles Thompson) on October 17, 1682; married Amy _____ before 1693; died April 1726 in Berwick; buried in Old Fields Cemetery in South Berwick. James, married Sarah Thompson (daughter of Miles Thompson and sister of Ann) on December 9, 1686 in Kittery; died July 31, 1697 in Kittery. William, born in Kittery; married Deliverance Taylor (daughter of John and Martha Taylor); died March 26, 1714; buried in Old Fields Cemetery in South Berwick. Moses, married Abigail Taylor ((daughter of John and Martha Taylor and sister of Deliverance) on September 7, 1694 in Kittery; died 1726. Elizabeth, married Zachary Emery on December 19, 1686; married Phillip Hubbard on December 22, 1692; died December 16, 1736; buried in Old Fields Cemetery in South Berwick. Sarah, married Isaac Barnes on December 6, 1694. Patience, married Daniel Stone on September 19, 1670; died 1715. Margaret died in March 1670 and was buried in Old Fields Cemetery. Some time later, Daniel married Sarah (Sanders) Turbet, widow of Peter Turbet. On June 4, 1702, Daniel was one of the founding members of the First Parish Congregational Church in the Berwick area of Kittery (which is now South Berwick). Daniel is thought to have died on March 16, 1713 in Berwick and is buried at Old Fields Cemetery. James Goodwin was lucky to be alive. He was fortunate to be born around 1711 in Berwick, Massachusetts Colony (now Maine), among the younger of Thomas Goodwin and Mehitable Plaisted’s children. He was blessed to find a wife in Margaret Wallingford, who was born circa 1716 in Dover, New Hampshire, to Thomas Wallingford and Margaret Clements. 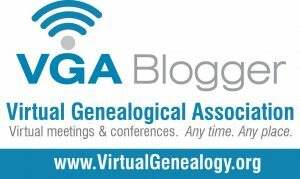 James and Margaret both lived good, long lives: James dying on May 10, 1800 and Margaret on February 20, 1803. Both lived to see the birth of their new country for which their son Jedidiah helped fight. What made James so lucky? It all began with the story of his parents, particularly his mother, Mehitable Plaisted. Mehitable was born April 30, 1670 (old calendar) to Roger Plaisted and Olive Coleman. She was among the last of their many children. Roger and Olive, along with their firstborn, Roger, travelled from England around 1649, and settled in the Kittery area of the region of Maine (which eventually became Berwick). They soon became part of the growing colonial community. Where relations between the colonists and the local Waramaug natives started off on a friendly foot, things quickly deteriorated with misunderstandings and violence on both sides. Soon, what was known as “King Philip’s War” was underway, starting about June 1675 on many fronts throughout New England. Mehitable was only five years old when her father and older brothers, Roger and Joseph, joined other area colonists in the military defense of their towns. Her father, Roger, was a lieutenant of the defense in the Kittery area. Early in the war, on October 16, 1675, Lieut. Plaisted and George Broughton sent a desperate plea to the surrounding communities for assistance as they saw their men being killed off by the natives. 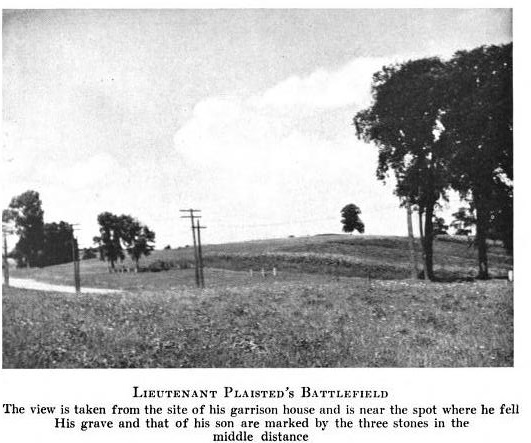 The Plaisted men became part of the casualties that very day. King Philip’s War lasted about three years until a peace treaty was signed. However the colonists were far from living peacefully with the natives. I’m sure the early communities in Maine were constantly vigilant against future troubles. In spite of that, life did go on. Olive Plaisted re-married to John Wincoll, who served as a stepfather to Roger’s children. Mehitable herself got married around 1685 to Thomas Goodwin, son of Daniel Goodwin and Margaret Spencer. They started their family with a baby boy. Mehitable and the other captives changed hands among several bands of natives along the journey and were ultimately sold to the French Canadians by about March 1690. (The histories I’ve read don’t say this, but yes, basically selling them as slaves.) Mehitable was put into service to a Mademoiselle de Nauguiere in Montreal. I suppose that escape wasn’t really an option; after all, she would need to go back through the native-filled country that she traversed to get to Montreal. What I find incredible and wish I knew more about is Mehitable’s eventual return to her family. Where many captives assimilated to their new culture and some even refused to leave, Mehitable returned to the waiting Thomas and seemed to continue where they left off. 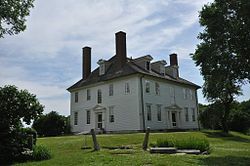 The Goodwins re-built their family (which included my ancestor James), and had about nineteen more years together until Thomas’ death sometime after June 3, 1714. Mehitable lived on much longer, passing away on June 2, 1740. In fact, her gravestone still stands in Old Fields Cemetery in South Berwick. She must have had amazing strength and resilience to have endured all that she did and to still have a normal and long life later on. Jedediah Goodwin and Hannah Emery were married on October 7, 1771 (I assume in Berwick). Starting from here and going back in the Goodwin and Emery lines, I have much less reliable information regarding vital statistics and information on all children, so I will let you know as much as I can. Jedediah was born in Berwick, Massachusetts Colony (now Maine) on May 18, 1746, to James Goodwin and Margaret Wallingford. The most significant part of his life has been serving in the Revolutionary War. So far, the information I’ve found is scattered in many places. I think he deserves a comprehensive post on his service; that should come in the future, perhaps during one of the military-themed months. Jedediah died on July 1, 1818, but I don’t know where he is buried (I assume somewhere in Berwick). Hannah was born in Berwick circa 1756 to Reverend Joshua Emery (although he was not a minister at that time) and Adah Tidey. Some sources say that she died on September 14, 1814, but I have yet to corroborate that. Emery Goodwin and Polly Hamilton got married on February 25, 1798 in Berwick, York County, Massachusetts (today’s Maine). Emery was definitely born in December, on either the 21st or 27th, and I’ve found years between 1779 and 1782. He was born in Berwick, MA (now Maine), the son of Revolutionary War patriot Jedediah Goodwin and of Hannah Emery. Mary (nicknamed “Polly”) seems to have born on August 5, 1783, Berwick, MA (now Maine); other sources show her birth in the late 1770’s. She was the daughter of Jonathan Hamilton and Mary _____. Jonathan Hamilton was a very prosperous merchant and importer who lived in Berwick. A fantastic summary of his life can be found here (be sure to click through the whole article!). Hamilton House, where Polly Hamilton grew up. Courtesy Wikipedia. George W. Goodwin, born February 12, 1799; married Cyrena Hodgdon in 1824; died January 9, 1877; buried at the Portland Street Cemetery in South Berwick. Fanny (Frances?) Goodwin, born January 24, 1800; married Samuel Guptail (sometimes Guptill) on August 11, 1822; died sometime after 1880. John W. Goodwin, said to be born July 15, 1804; however, that leaves less than a seven-month pregnancy, which is highly unlikely. Census records seem to indicate that he may have been born in 1805. Married Sarah Junkins on December 24, 1826 in South Berwick. Died sometime after 1860 (I haven’t researched him much). One thing I’ve learned as I wrote this post is that there is a lot I don’t know about this family! For example, who exactly was Polly Hamilton’s mother? I had Mary Weymouth, but other sources indicate Mary Manning. I also need to find more census records for this family. There is much to add to my research “To Do” lists!